Dekker Biotech has developed an improved bioremediation product that allows white-rot-fungi to establish in toxic environments (such as soil contaminated by hydrocarbons and related chemicals) where these fungi initiate the first phase in bioremediation. The fungus, or selection of fungi, is encapsulated in a pellet that provides optimum growth conditions for these fungi. Once introduced into the soil, the fungal pellet is activated and the growing mycelia propagates away from the original pellet in search of a new food source, while continuously releasing its ligninolytic enzymes to detoxify the new hostile environment. During the second phase of bioremediation the fungal by-products are further consumed by the indigenous micro-organisms and converted into harmless biomass and carbon dioxide. 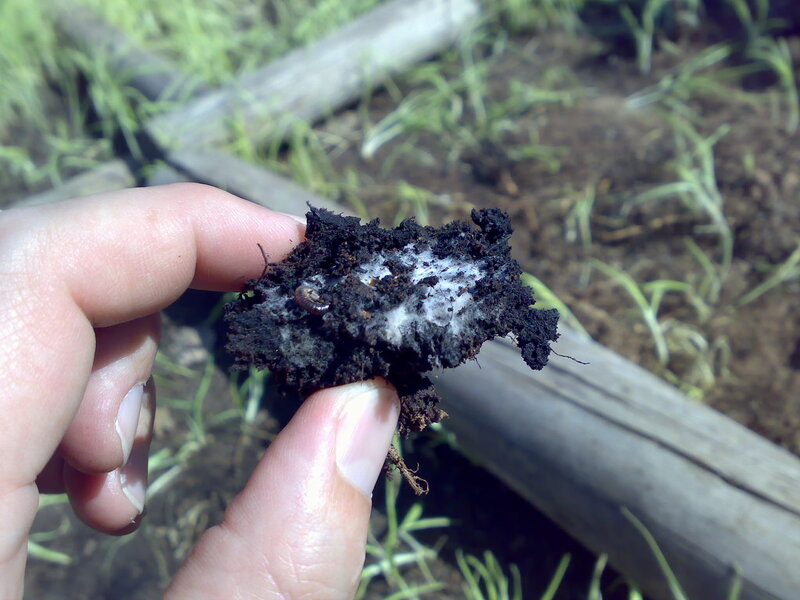 The white fungal mycelium evident during treatment of hydrocarbon contaminated soil.